You're the guide as you wend your way among growers, animals, bees, beauty. Jump on a free self-guided tour of the farm trails of Sonoma County on Saturday, Sept. 26 and Sunday, Sept. 27. PIGLETS TO ADMIRE: Need we type anything else? That should seal the deal of you heading out onto this educational, land-beautiful adventure, but there's more. 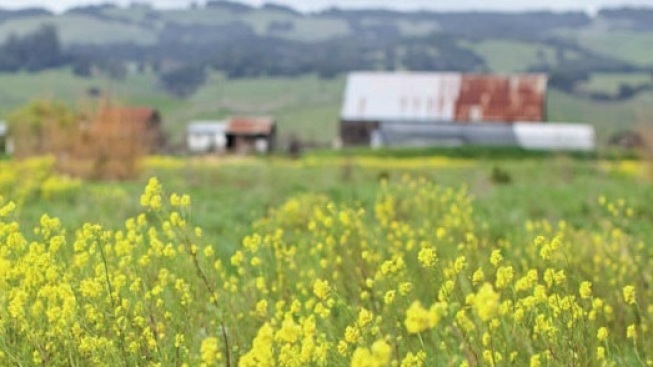 You'll get acquainted with "Sonoma County's agricultural bounty" via stops at spots like creameries and nurseries. You'll also be able to pick your own apples and, wait for it, dig for your own potatoes. Classes, meet-and-greets with the growers, and food trucks shall abound throughout the region. As you head into the holidays, with more cooking on the horizon, figure this to be a fine way to connect with those who grow and make a caboodle of cuisine-starters, from vegetables to dairy products to dozens of items found on the fridge or pantry shelf. Plus, yes, there will be pumpkin patches, if you want to jump-start your jack o'lantern action. Again, all free, save the gas for your go and anything you purchase at food trucks and such along the field-rich, piglet-oinking way. And, as mentioned, it is free, but you'll want to register.